Apple has always been known for it's looks and finish. 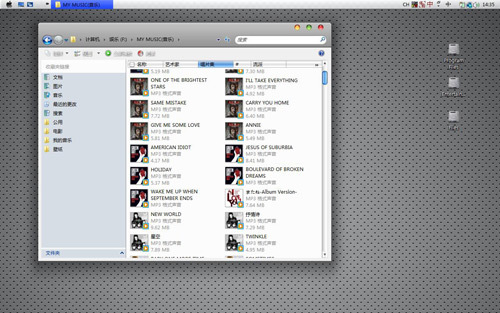 The themes and fonts that are available on Apple Macintosh's OS are really very elegant and beautiful. You can also have the looks and feel of the Apple Macintosh OS on your Windows 8 and Windows 7 system using these Seven themes. 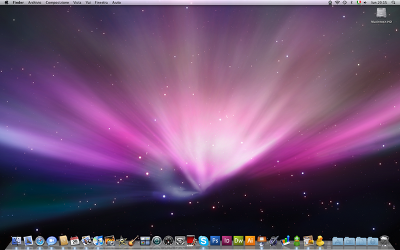 Apple's Mac OS X has some of the best crafted User Interfaces and font designs and in fact every designer, business guy and developers swear by the design and ease of usage of Mac OS X. 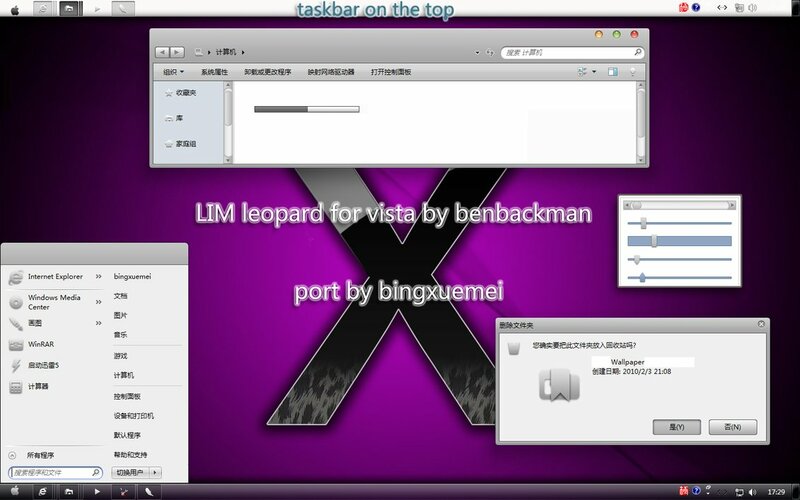 But given the high price of an Apple Macintosh computer, you can easily install a Mac OS X Theme on your Windows 8 or Windows 7 in order to experience the same look and feel of Mac OS X right inside Windows. Now before you go through the list, here is something very important that you need to take care of. You should create a system restore point before you install any of these themes as these themes are either packages or patches, so just in case you want to get rid of any of the OS X themes, you can simply switch back to an older restore point. 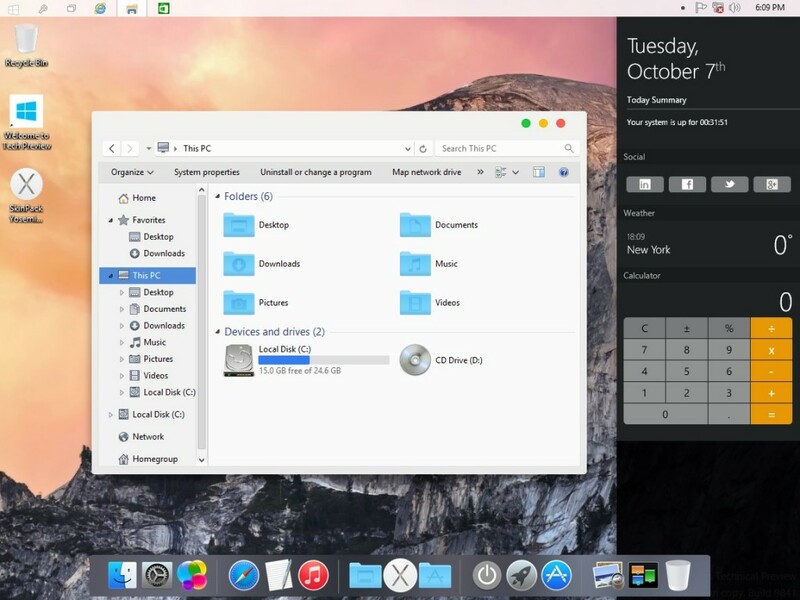 Update - this Apple OS X theme works even on Windows 10 that was recently launched as a technical preview. Update: New separate package and Update and of the above theme for Windows 7. One thing that is common with all these themes that each of them have one glitch or the other - and none of them are perfect but still does the job. 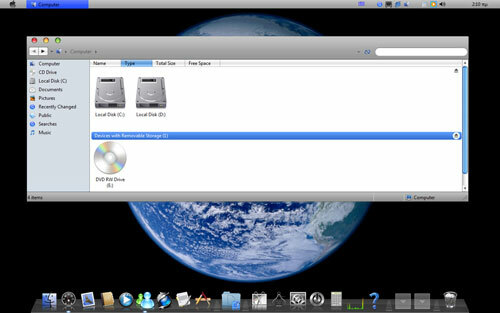 For a perfect Mac OS X experience it is recommended that you buy an actual Mac computer like a Macbook Air, Mac Mini or an iMac. 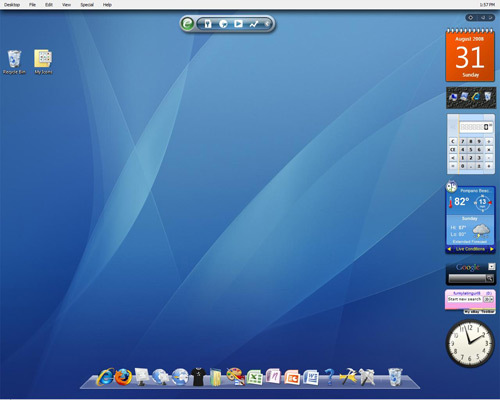 If you are looking for installing an Apple theme for one of your Linux systems then you might want to check this: Apple Mac OS Theme For Ubuntu, Fedora, SUSE [Linux]. Here are a few more Windows 7 themes.